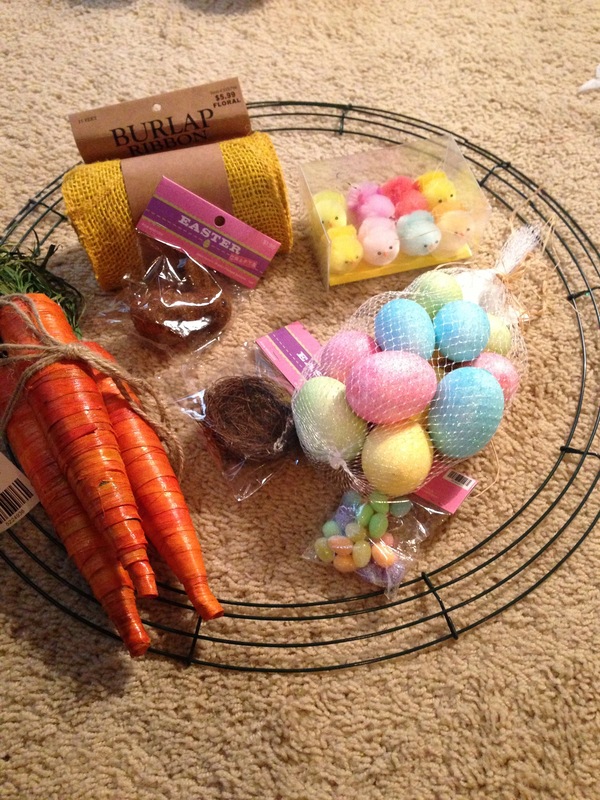 Hippity Hop, Hippity Hop, Easter’s On It’s Way | mrs. and the misc. 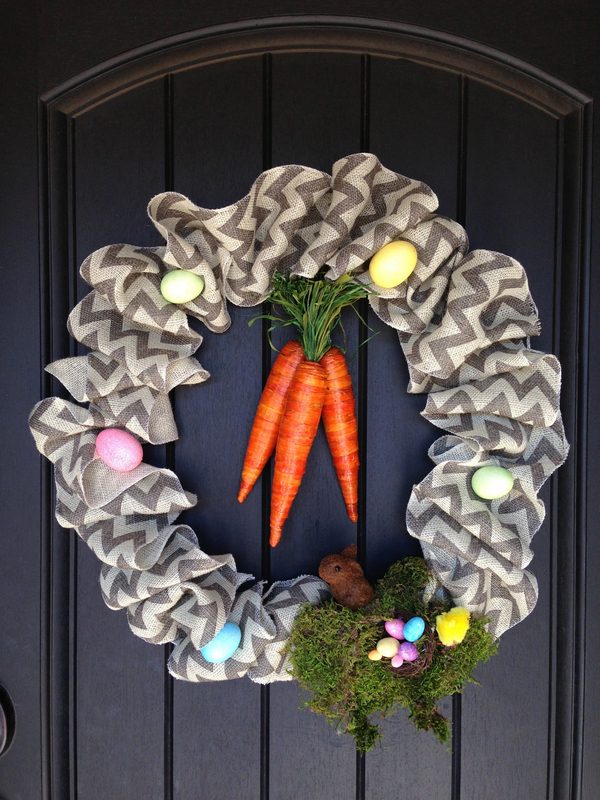 Everyone loves a cute Easter wreath right?? Well, one of my friends introduced me to Chevron burlap at Hobby Lobby and I knew I had to make a wreath out of it. It’s SO simple and I think it’s adorable! Here is everything you need and it all comes from Hobby Lobby. The best part is most of it was 50% off or I used a 40% coupon! I’m going to show you how to make it with a yellow burlap, since mine is already hanging on my door. 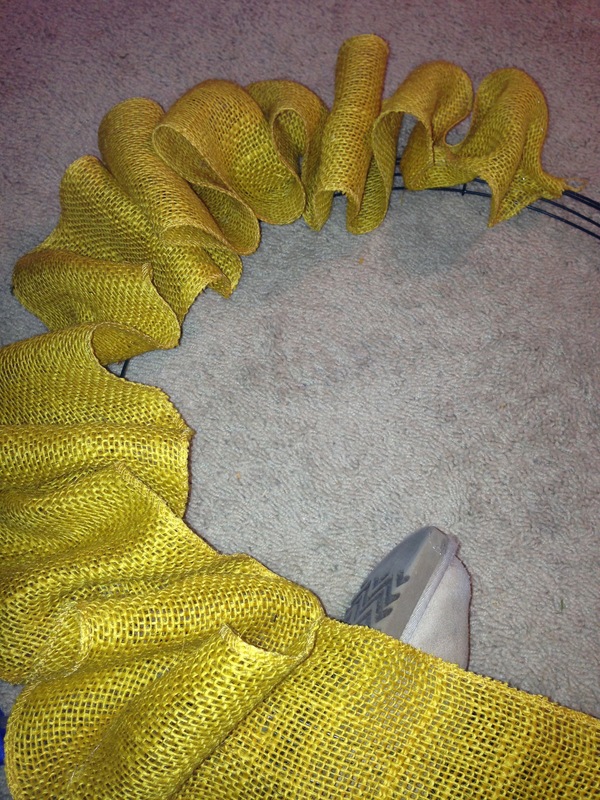 Basically you just use a hot glue gun and bunch the fabric up and glue to the wire wreath. I always get the low temp glue so I don’t burn my fingers. Next, once you wrap the entire wire wreath you can start decorating! 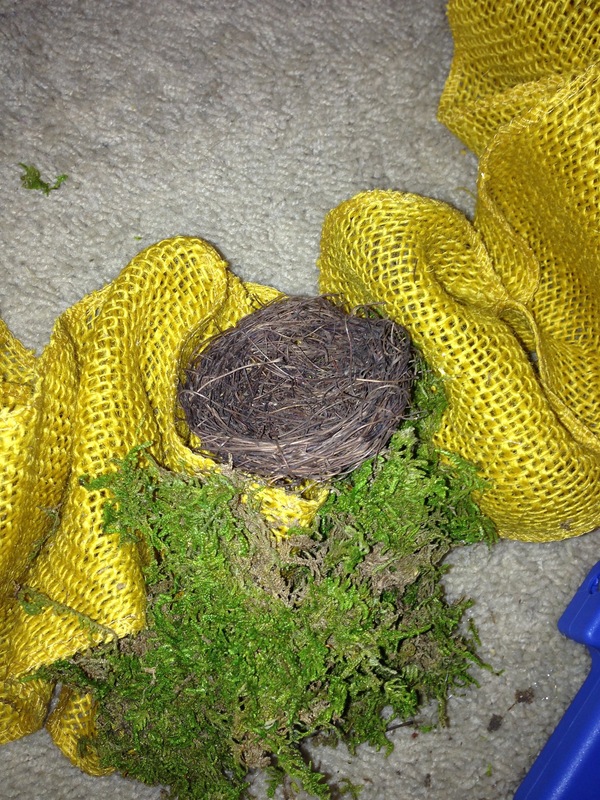 I used a neat moss first, and then I glued the nest down. After that you can glue eggs in it, apply the bunny, chick and also the carrots to the top. I didn’t take a picture doing the carrots because it was so easy. I just tied them together with the burlap string that came with them and then tied them to the wreath! Thanks!!! I love how it turned out!! Very cute! 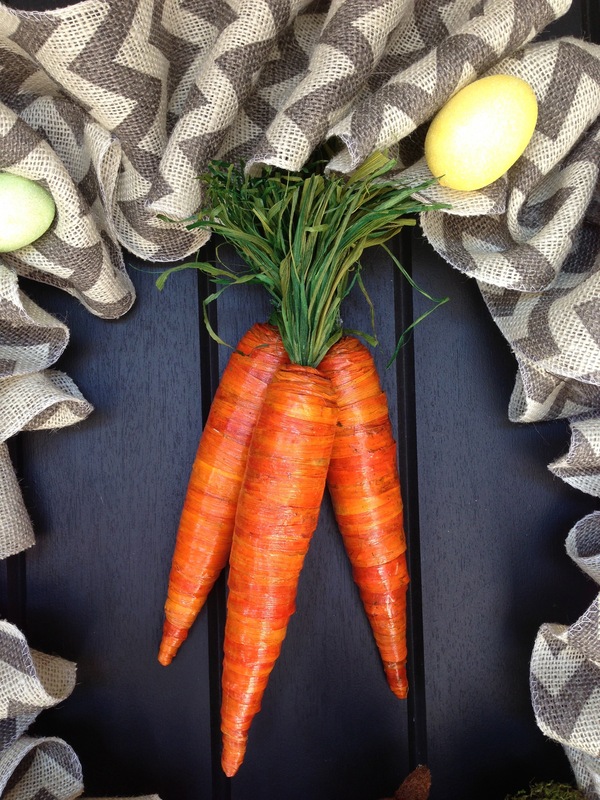 I fell in love with these carrots at Hobby Lobby over the weekend and adore how you have used them here. Chevron + anything = good. Thank you!!!! I hope it inspired you! Super cute and I LOVE the chevron burlap!! That’s really beautiful! The carrots are a very nice touch. Time flies! Easter is approaching. Sigh!